As noted above the introduction of national brand items will accompany what Claus called a "major private brand revamp" to be executed over three phases in the next 18 months. 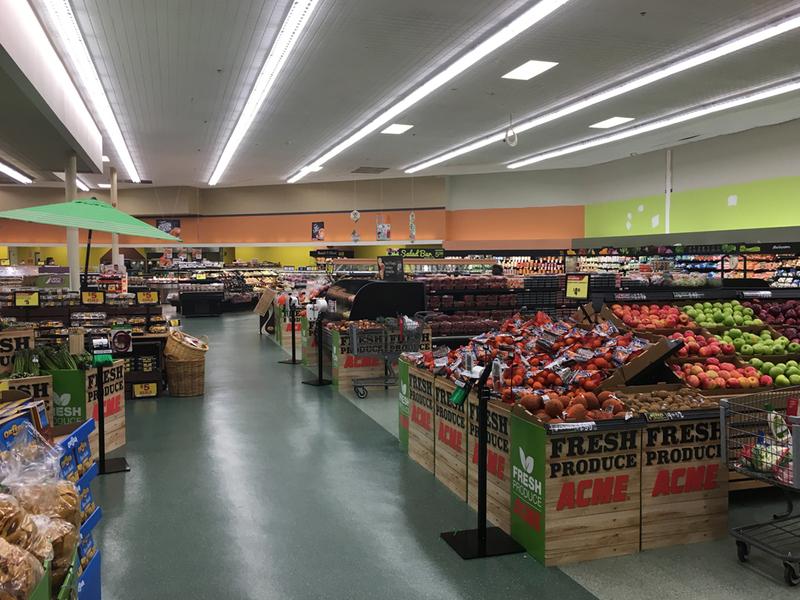 The plan calls in part for introducing a single brand to span over multiple categories — America's Choice, the former A&P private brand that he said Save-A-Lot has acquired. "It's a fabulous name," Claus said. 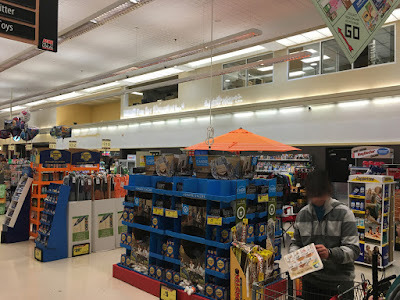 "Our goal will be to create greater brand recognition and loyalty with a single name across much of the store as opposed to individual brand names across categories. You can read more about the change underway at Save-A-Lot at SupermarketNews.com by clicking here. 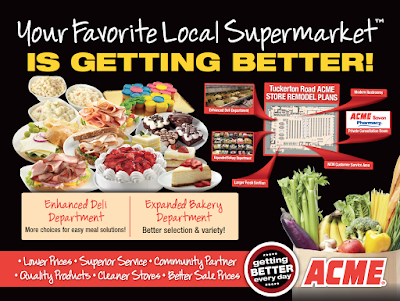 Just discovered on Acme's twitter feed that the Tuckerton Acme held its grand reopening last Friday. 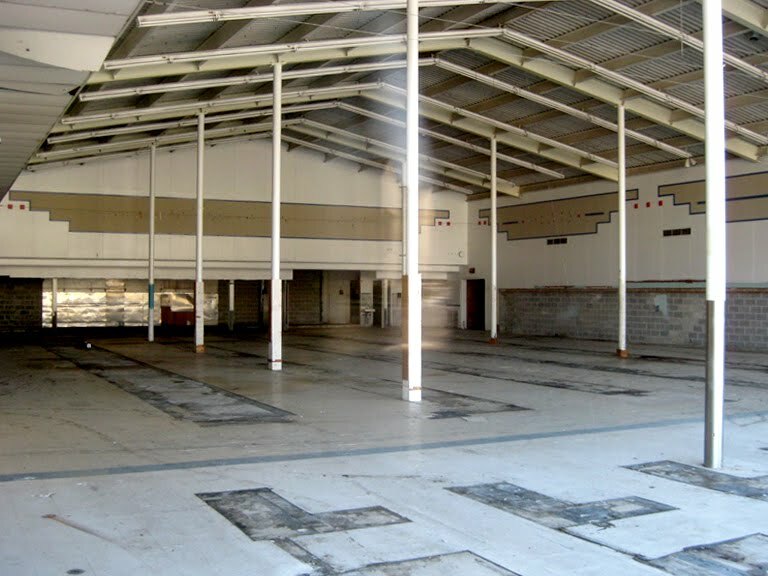 Can't find any pictures online of the interior but I suspect that Industrial Circus décor package remains intact. According to the graphic below, which Acme had on its website, upgrades occurred in several areas of the store including the Bakery, Deli and Pharmacy. 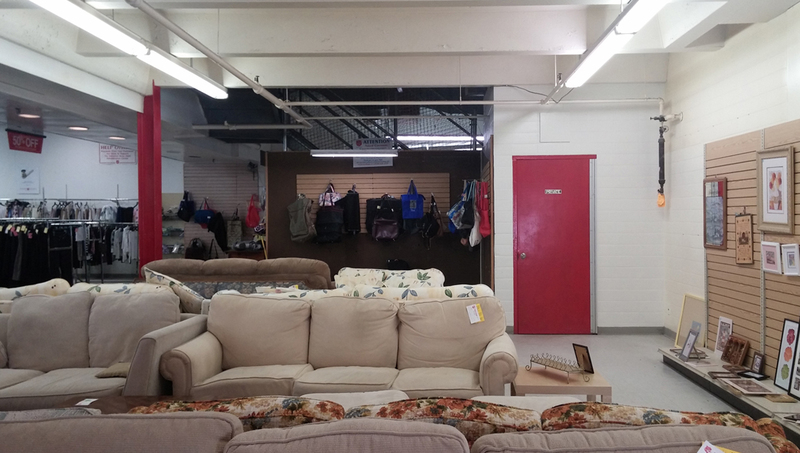 Improvements were made to Customer Service and the bathrooms as well. 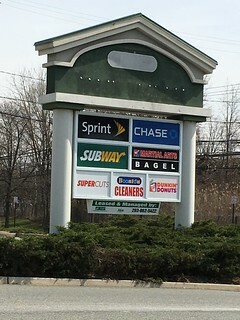 As you can see above, the Sav-on sign has been removed. For additional coverage of the Tuckerton store, please click here. 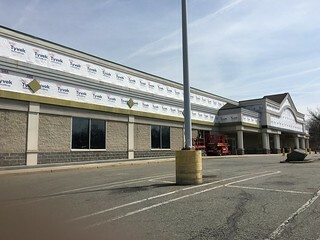 Remodel Underway at Kenilworth Acme! 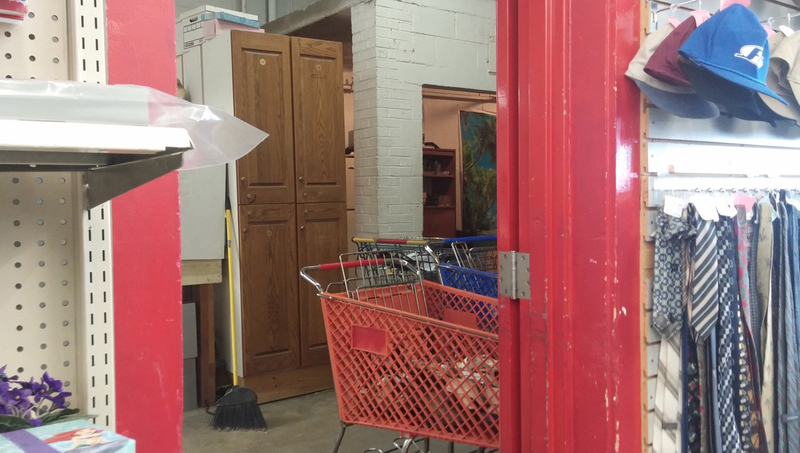 A remodel is underway at the Kenilworth Acme! At this point not much has been done other than removing A&P's department signage. Hard to know how much a remodel this will turn out to be. I imagine it's largely just a décor swap. 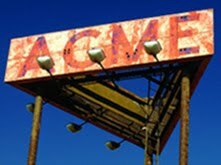 Really hoping they go with the Quality Built package and inject some Acme personality into the place. The painfully generic 3rd version of the Premium Fresh and Healthy package need to be put out of its misery. I like how Acme used A&P's floor pattern to dictate the layout of the produce cases. A&P took a more random approach. I'm assuming these are new cases for the fresh fruit. You can hop over to Dan's flickr collection for tour of this store by clicking here. Thanks to Dan for alerting us to the remodel at Kenilworth! Classic Acme Ice Cream Bag! 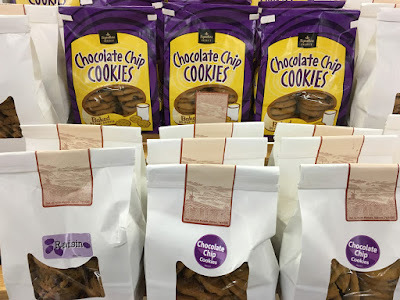 Signature Select Branded Baked Goods! The original Chocolate Chip Cookies bag is back! This time around the Acme logo has been replaced with the new Signature Select logo. SuperValu had gotten rid of these colorful packages years ago in favor of the plain white ones you see in front. These cookies are big business at Acme. They're prominently featured in the Bakery and regularly shown in the weekly circular, often on sale. Not sure if the other banners put as much emphasis on these goodies. 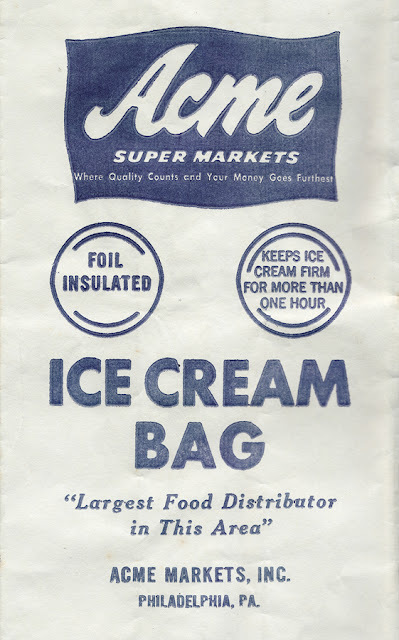 I imagine the new/old bags will be coming for the other varieties soon. 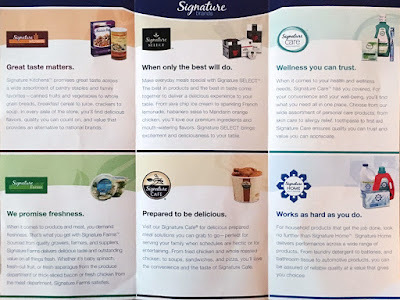 And... the New Signature Select logo has also been added to the muffins boxes. The old Albertsons box, which has been inexplicably kicking around for years now, is shown on the right. The day I no longer see that logo/leaf in Acme cannot come soon enough. P.S. 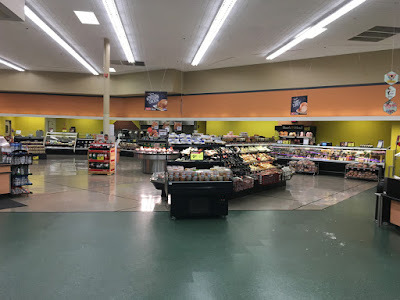 : These photos were taken at the Edgewater Acme this past Saturday morning. As I've mentioned before, I've been a pretty regular shopper at the store since the late 90's. In the last few years, I've watched the business plummet. You could literally hear a pin drop at 11:00 on Saturday morning. 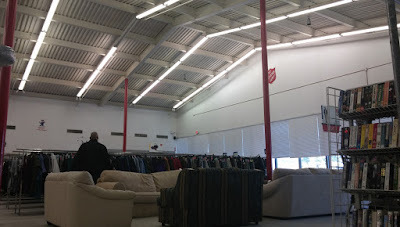 They would usually have two full service registers open along with the four self-checkouts. Rarely any lines. 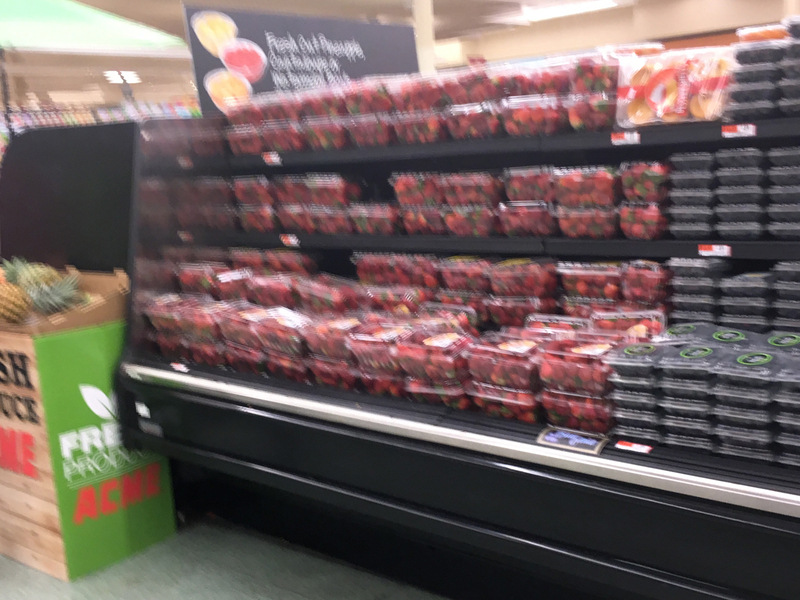 Now I walk in and see more shoppers in the Produce department than I would see in the entire Pathmark! Acme has been running nine to ten registers on Saturday mornings with customers checking out at every lane. 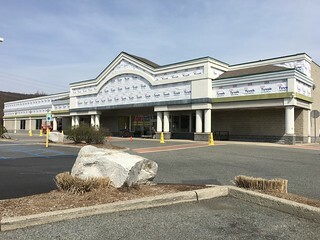 There's a ton of competition in this area that really seemed to decimate the business at Pathmark including Target, just across the parking lot, Trader Joes and Whole Foods just up the street. 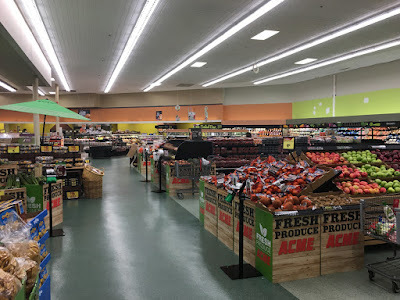 From what I've observed at this store in the past few months, I would venture to say that Acme is doing twice the volume Pathmark did in its final years. It's really nice stepping into the store now and feeling like it's alive rather than gasping for its final breath! 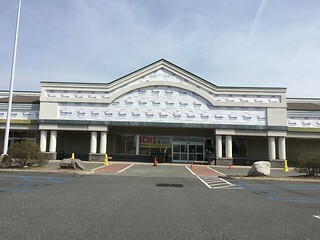 A Return to the Former Milford Acme! 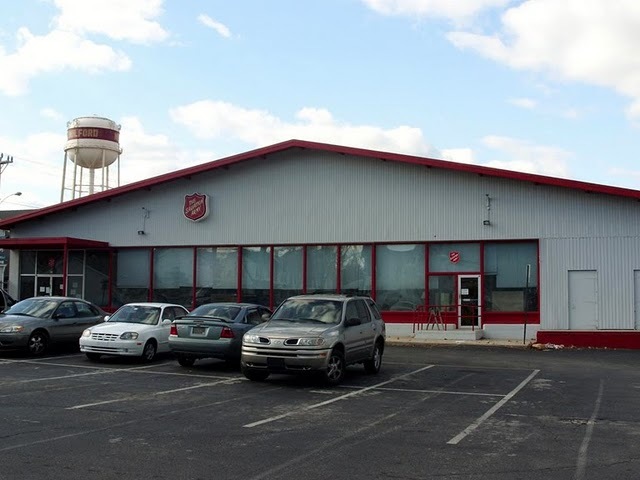 Today we're taking a quick return to the former pitched-roof Acme in Milford, Delaware. The store has been covered on the blog previously thanks to Ben from Delaware. This time around we're getting a look at the back room area which is now being utilized as sales floor space. 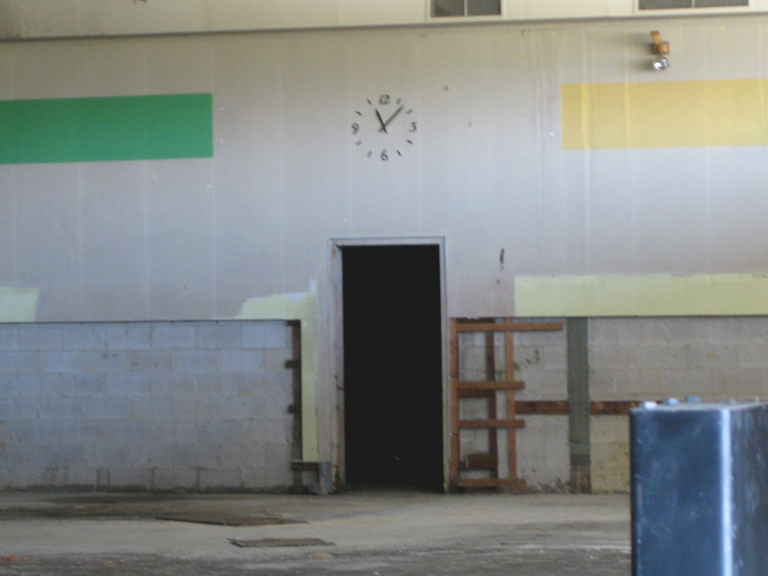 The interior has remains mostly untouched from it's Acme days except for some fresh paint. This store is nearly identical to the abandoned Parkesburg store. Classic Acme air vents along the former Produce wall. Notice the clock just about that shopper's left shoulder! We've seen it at several locations including the abandoned flat-rrofed store in Woodstown, New Jersey. Click here for a closer look. 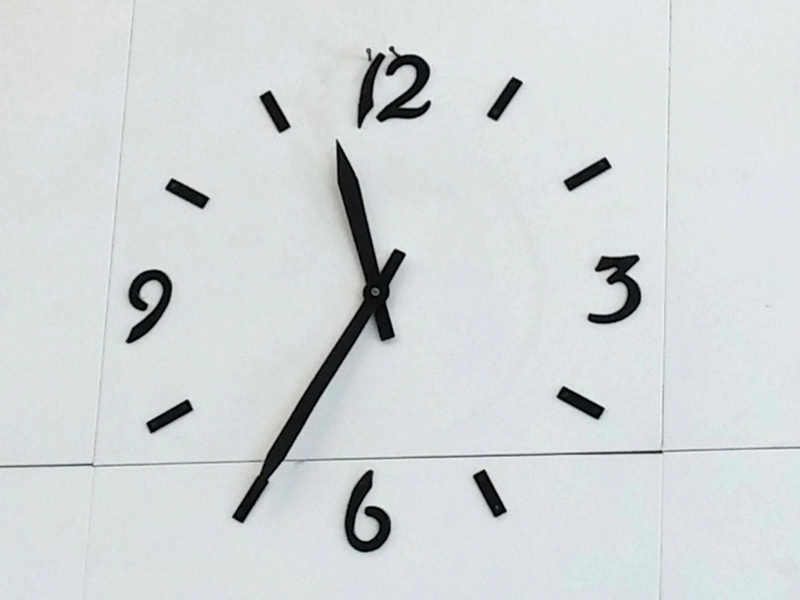 Update: Will just sent in an extreme close-up of the clock! In this shot, Will was standing just behind the Deli facing what would have been the Meat room. 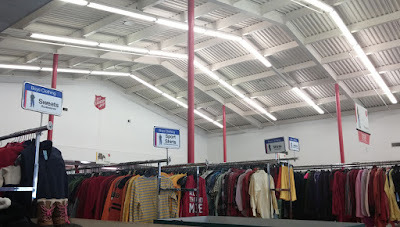 The spot lights that illuminated the meat cases can still be seen running along the drop ceiling along the left side of the photo. Notice the stairs in the distance that lead up to the second floor, which may have been replaced since the Acme left. 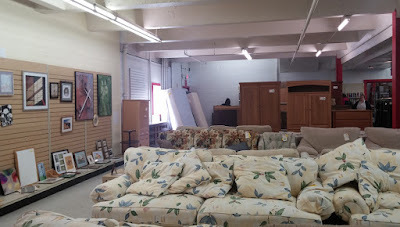 Looking toward the corner Deli and back room space. Not sure what were looking at here. The brick walled room in the back there may have been the trash room. Stairs to the second floor! 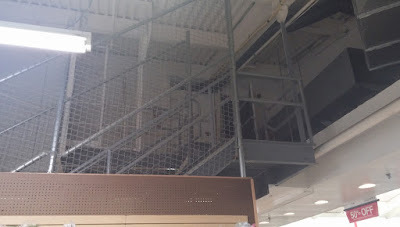 I believe Acme's stairs were located along the rear wall so these may have been added after Acme left. The break room, bathrooms and compressor room were located up there. 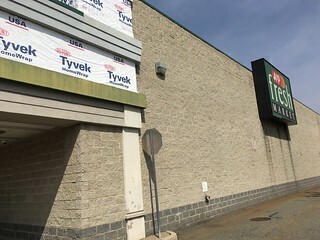 Thanks to Will for the pictures of the former Milford Acme! 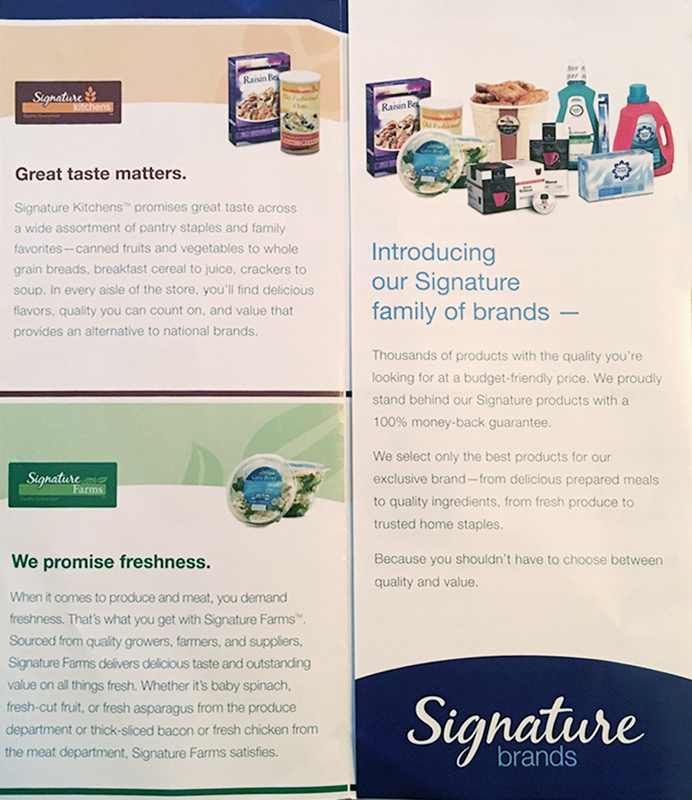 Signature Brands have officially arrived! 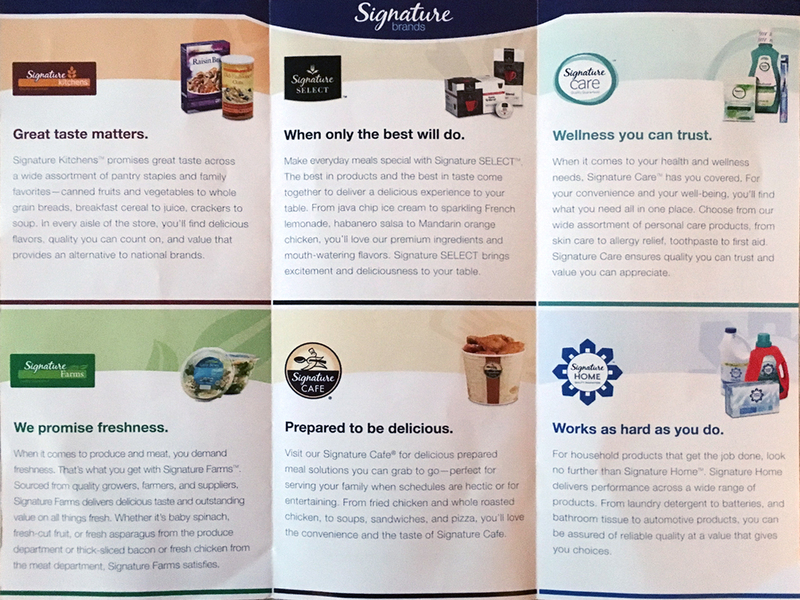 Yesterday, Alberstons made an official announcement that its new Signature brands are being rolled out to all of its 2,286 stores. Store signage featuring the new brands has been going into Acme stores for the past couple of weeks. The Signature brands, which are Safeway's rebranded private label products, have been arriving on shelves for months now. Supervalu's Essential Everyday products have been fading away, at a painfully slow pace, for just as long. 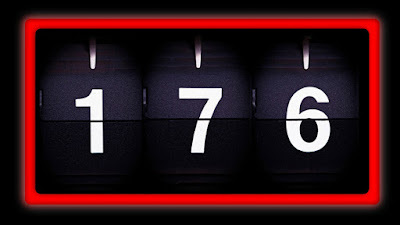 The day I don't see any Essential Everyday products on Acme's shelves can't come soon enough! The display show here, with brochures are available for shoppers to take with them, arrived at the Weehawken store this past weekend. You can read details of Alberston's announcement at SupermarketNews.com by clicking here. 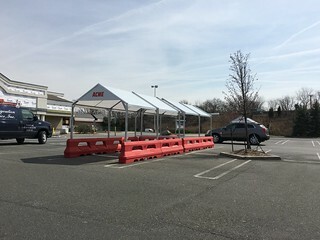 Acme made it official on November 19th that it was acquiring the Boonton A&P, just a day before the store closed. 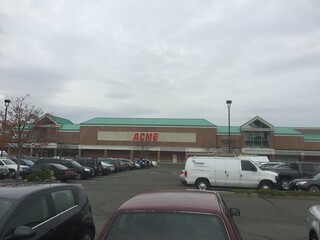 Unlike the rest of the A&P fleet that Acme purchased, this store was not in for a quick conversion. Still has another 2 months before it opens. No confirmation yet but I assume the interior is being remodeled to the Quality Built décor package. What else could be taking so long? 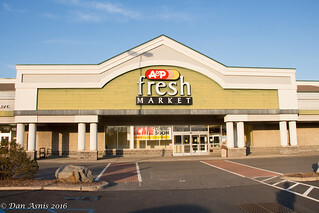 A look at the store before the A&P signage and siding were removed. Dan has been keeping a close eye on this place so I'll be posting updated pictures as he gets them.